Roger and Denise (Seaway Church, Prescott) have agreed to serve as Prayer Coordinators for our EOND. In coordination with the International Office, Roger and Denise have agreed to assist us in facilitating a network of prayer with identified prayer leaders in District churches and other related ministries. They will be encouraging and coordinating prayer initiatives including any special needs that arise. They will also communicate on the value of prayer and the initiatives being taken in coordination with national “Pray Every Day” prayer initiatives and Every Day Faith information. More information will follow in the days ahead and you can contact Roger and Denise directly at seawaychurch@gmail.com. 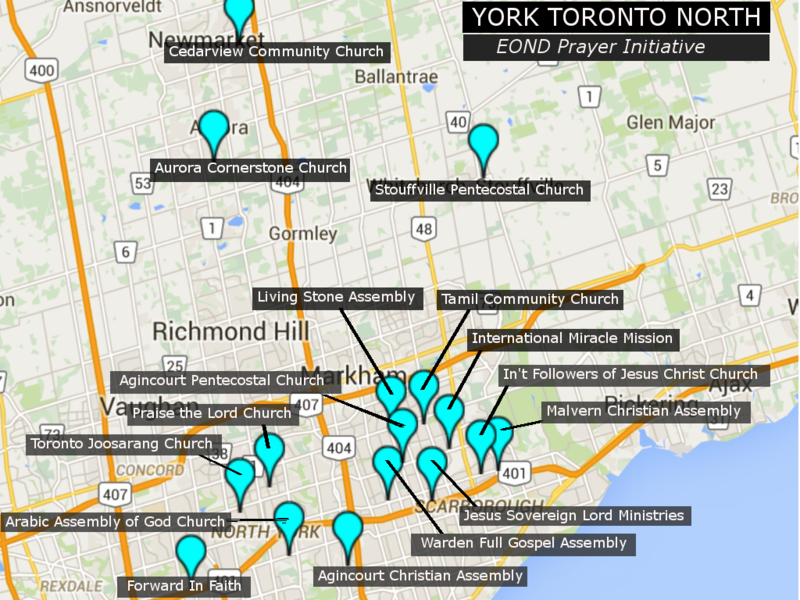 To view the Prayer Map please click on the link below. Click here to view map of churches.